Has your refrigerator Brand stopped working? Hopefully, this happened after a decade of exceptional service and not the second month after you bought it. 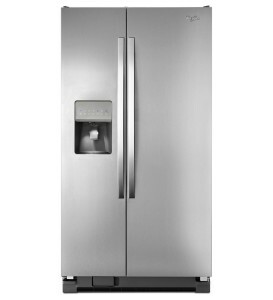 New or old, Accu – Tech can fix any type of refrigerator, whether it’s LG fridge, GE, Maytag, Whirlpool or a different brand. Our technicians will check if your appliance is still under warranty to make sure they do nothing that can void it. All we want is to get your broken appliance back up and running as soon as possible, and if we can save you some money in the process, that’s a bonus! The causes include anything from a clogged water line to dirty condenser coils. If your refrigerator is not showing any signs of life, there is something you could do before calling for refrigerator repair. Check to make sure your fridge gets power. If the light doesn’t come on when you open the door, this points to an electrical issue. Sometimes, a solution can be as simple as adjusting the plug or flipping a circuit breaker switch. But if this doesn’t solve your problem, Our technicians pros will be happy to help.